Transamerica Life Insurance Company is a subsidiary of AEGON, a large insurance company that offers insurance products in countries around the world. Transamerica Life Insurance Company offers its health insurance products through its subsidiary, Transamerica Affinity Services, Inc.
Transamerica Life Insurance Company health insurance is available in many different plans depending on the coverage that meets you and your financial needs. For example, the Executive Health Program is a supplemental plan, which provides preventive care, physician services, and medical treatment. The plan is available as a supplement to existing insurance coverage. Transamerica Life Insurance Company offers its Hospital Indemnity Protection to help cover the cost of hospitalization. Riders are available on this plan and can be customized per policyholder. The plan is only available to employees, spouses, and children under the age of 65. Transamerica Life Insurance Company also provides a Medical Expense policy, which has limited benefits at an affordable price for employers to offer their employees. There are five different plans within the Medical Expense policy that can be chosen to meet each individual’s needs. Additional riders can be added to the policies to provide dental, life, and short-term disability insurance. Transamerica Insurance Company offers a combined Health and Accident Insurance for college students. The plans vary in benefits and maximum payouts. 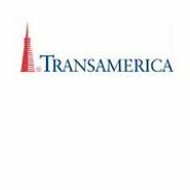 To obtain more information on this plan, please call Transamerica Affinity Services, Inc. at the number listed under Contact Information. Transamerica Life Insurance Company offers a supplemental insurance plan to cover prescriptions that Medicare Part D does not cover. The plans are available for employers to offer to its employees and for individuals to purchase as a supplement to Medicare. Transamerica Life Insurance Company can also meet retiree needs with its Retiree Medical plan. The plan is designed for employers to provide to its employees upon retirement. It is similar to the Medicare supplement plan with prescription coverage. Transamerica Life Insurance Company offers two different types of Cancer Insurance. The first policy is known as First Diagnosis. The plan is available to employees, spouses, and children. The policy covers hospitalization for cancer treatment up to an established maximum. The second Cancer Insurance policy is called Cancer Indemnity, which is also available to employees, spouses, and children. The policyholders must have been cancer free for five years prior to the policy in order to receive hospitalization for cancer treatment, medical transportation, and treatment for skin cancer. Lifetime amounts, riders, and pricing all vary depending on the plan you purchase. Transamerica Life Insurance Company sells its insurance products through independent agents and brokers. Transamerica Life Insurance Company is contracted with over 4000 agents and brokers. Transamerica Life Insurance Company Claims should be reported by the health care professional. However, if a claim is not submitted, you can contact the customer service number at 1-800-229-6565 or by email at [email protected]. For information, you can also email the company at [email protected] or call them at 1-800-229-6565. You can also submit an online form on the company’s website for a customer service representative to respond at their earliest convenience. Transamerica Insurance Life Company provides online resources to its clients. The online resources are available to policyholders once they set up a login. Once logged in, clients have the ability to view their insurance policy, Medicare supplement rates, and update contact information. Transamerica Life Insurance Company maintains high ratings by the different insurance rating organizations. For example, Transamerica Life Insurance Company is rated A+ by A.M. Best, A1 by Moody’s, AA- by Fitch, and AA- by Standard and Poor’s. Horrible, just horrible, might as well of flushed my money down a toilet. worse company ever. they don’t stand behind their word at all, they scramble to give you the reason they can not pay out on your claim. losers here.